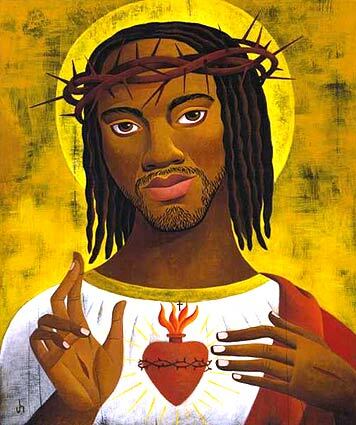 Blacktopia: Black Jesus Rises Again: Happy Easter Blacktopia! Black Jesus Rises Again: Happy Easter Blacktopia! Well.... looks like Jesus won this battle (as always huh). Happy Easter Blacktopians! (nice try Jews). Hopefully some of ya'll did "rise up" from the dead (sleep) and made it to Church this morning. *throws a colored egg behind a bush* I'm hiding that for later. - Some Guy Named "Jay"
Check out these wonderful pieces of Art inspired by the Real Jesus. He's not called "Black Jesus" ...... he's simply Jesus.